I've gotten a couple questions recently about how I created some of my images that use texture overlays, so below is a video I created a couple years ago that explains this. For any photographers out there that purchased the Firenze Italian Textures Collection I offer here, you've seen this before as it comes with the set. But for those who haven't seen it, now you know. Hope this is useful to someone out there. BTW, I have no idea who's voice that is in the video. Surely mine doesn't sound that dorky in real life... does it? I always hear myself sounding much cooler in my head. Finally, I have no idea why the video preview image looks so craptastic, but when you press play, everything clears right up. Trust me. Go ahead... give it a try. 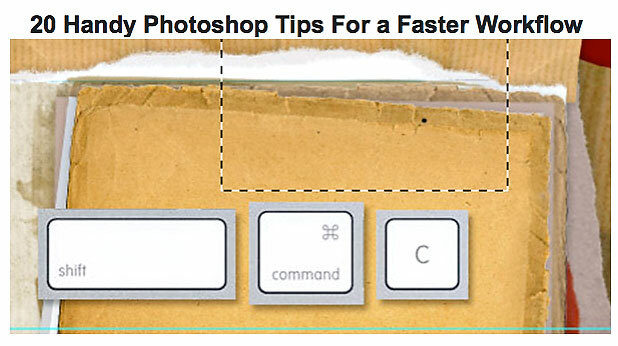 For any photographer types who may be tuning in and wanting to learn more tips to improve your Photochop workflow (or maybe just needing a refresher for some of you veterans), here's a link to a blog with 20 tips to speed up your Photoshop workflow. I use most of these and don't really even think about it any more as they've become 2nd nature, so I can vouch that collectively they can save you lots of time. 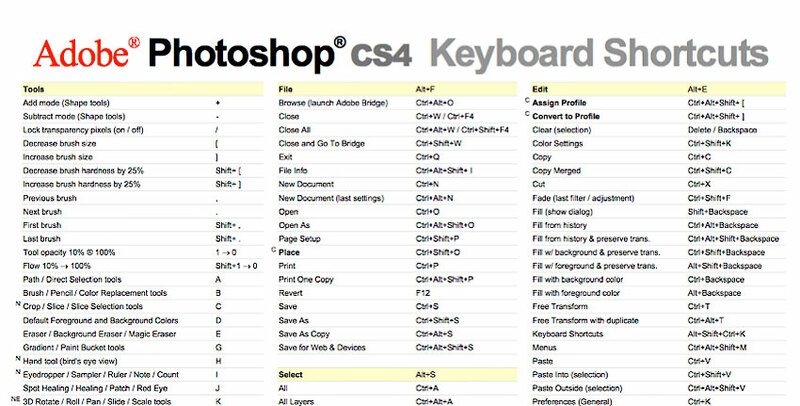 And here's a link to photographer Trevor Morris's webpage with downloadable PDFs of all of Adobe's Photochop shortcuts - all 4 pages of them - for pretty much any flavor of PS you might have. I don't know Trevor and just stumbled on his page for the first time today, but I appreciate him putting together all the download links. So... thanks, Trevor. 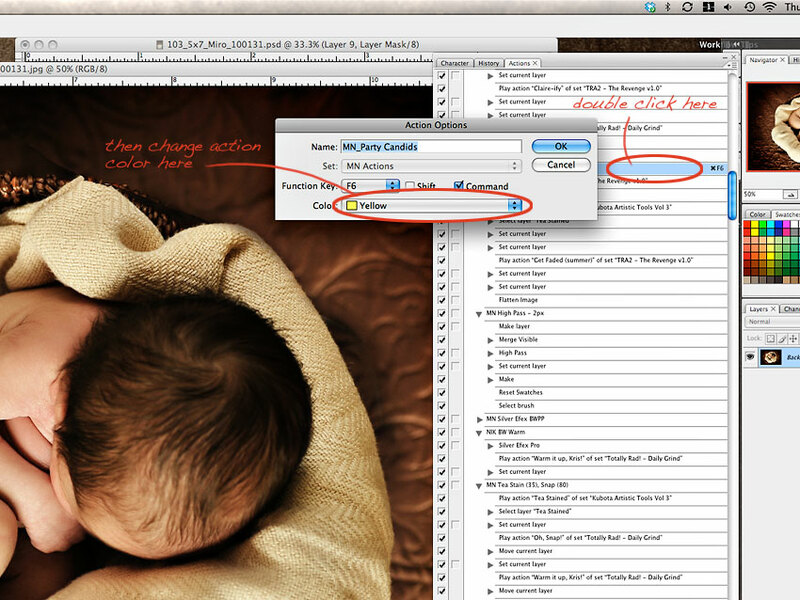 I've been surprised by the number of photograhers I've talked to recently who didn't know about color-coding actions in Photochop to make finding their actions easier. I guess I thought everyone did this, but in the words of Yoda, "Incorrect, I was." Years ago when I was starting out, I bought nearly every action under the Photoshopped sun hoping to create magical images just like the people that were selling said actions. If only I could create images just like them... then I'd be succesful and have a "style". It took me while to figure out the only thing successful about that approach was how well I could mimic other people's images. At the same time I was spending more time than ever in Photochop, not less like the people advertising the actions said I would, because I spent for-ev-er playing with every new action on each image trying to figure out if the image would look better as a photographer X styled image or like photographer Y styled image. My "style" was all over the board because all I ended up with was such a wide range of image styles that I didn't know who I was as a photographer. Not to mention my images were looking way over-Photoshopped. Since those early days I've really worked to define what makes my work [hopefully] unique to me, and along the way one of the most important - and time-saving - things I've learned is not what actions to use, but instead what actions not to use... and that's most of them. Don't get me wrong, I still fully-embrace digital technology - including actions - in adding emphasis to my images as quickly as possible. 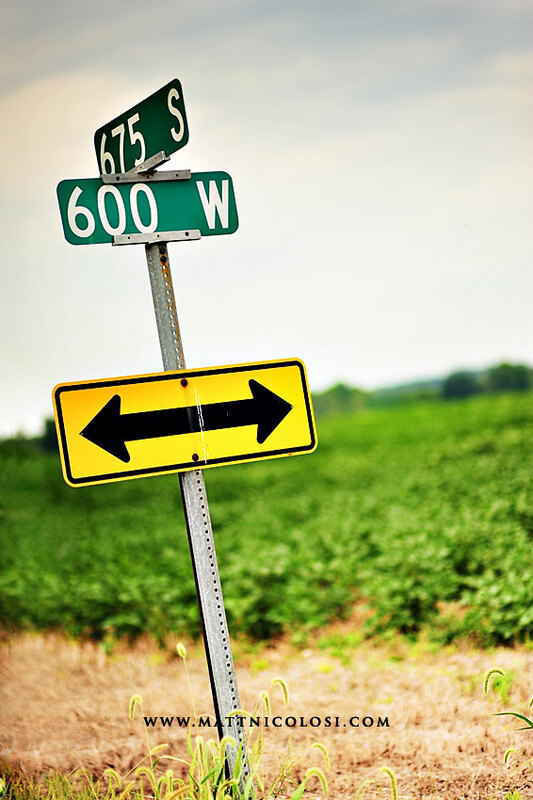 I've simply worked to define my style and then pick and choose the actions that help empahsize that style. Sorry abou tthat little tangent. Anywho. One little trick that's helped shave time off my workflow is color-coding my actions in Photoshop according to what function they perform. For example, I'll group b&w actions with a color, utility actions (cropping, sharpning, formatting for blog, etc.) with another color, effect actions with another color, texture actions with yet another color, etc... Color coding helps me visually locate a set of actions and then a single action faster than if they were all the same color. And honestly, I've been a little sloppy in some of my color coding with some random outliers here and there, but it's amazing after a while how quickly your mind memorizes where actions are based on blocks of color. The following is a quick little tutorial in case you want to give this a try. 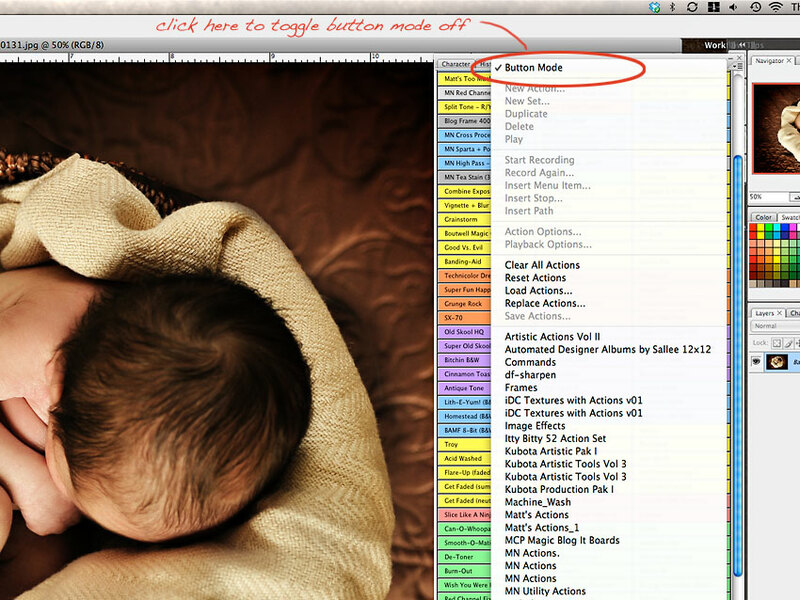 Step 1 - Click the actions palette options icon to access the option to toggle from Button Mode to step-by-step mode. Note - if your actions are currently set to be viewed in non-Button Mode, you can skip Step 1 & 2. Step 2 - Click "Button Mode" in the actions palette options menu to toggle off Button Mode. You need to be in non-Button Mode where you can see each recorded step in your actions. Step 3 - Double-click in the open area to the right of an action title. IMPORTANT: If you double-click to the right of a step in the action rather than the action title, Photoshop will run that step instead of opening the Action Options dialog box. Step 4 - With the Action Options dialog box open, you can change the color assigned to an action in Button Mode. Unfortunately there's still no way to select a group of actions and change their color all at once. I've been waiting for a while on that feature, but my feature request emails to Adobe have likely ended up in their Mailbox of Broken Dreams never to be seen or heard from again. Bonus Points (optional) - With the Actions Options dialog box open you can also select a function key or combination of function + modifer keys (Shift & Command) to create a hot key(s) short cut to run an action. I do this for all of my most commonly used actions to save even more time in my workflow. 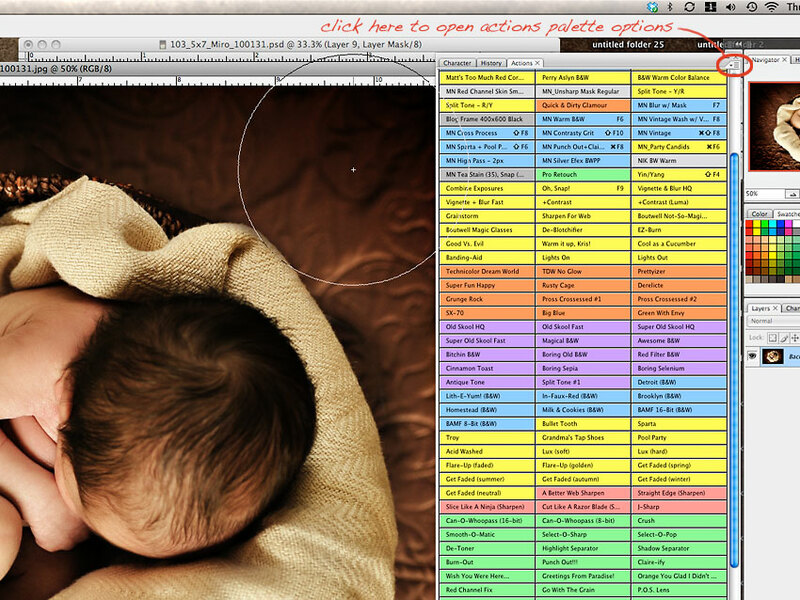 Step 5 - Repeat steps 1 & 2 to open up the actions palette options and click on "Button Mode" to toggle button mode back on. BTW, in case you were wondering, Button Mode allows you to run an action or set of actions recorded as one action with a single mouse click. For some of you, this is old hat. Hopefully, though, this is helpful for a few of you out there. As I mentioned at the beginning of this post, I seem to run into a fair number of people out there that didn't know abou tthis little gem. If that's you, give it a try and see if - once you get used to it - you don't find yourself shaving a little time off your workflow. 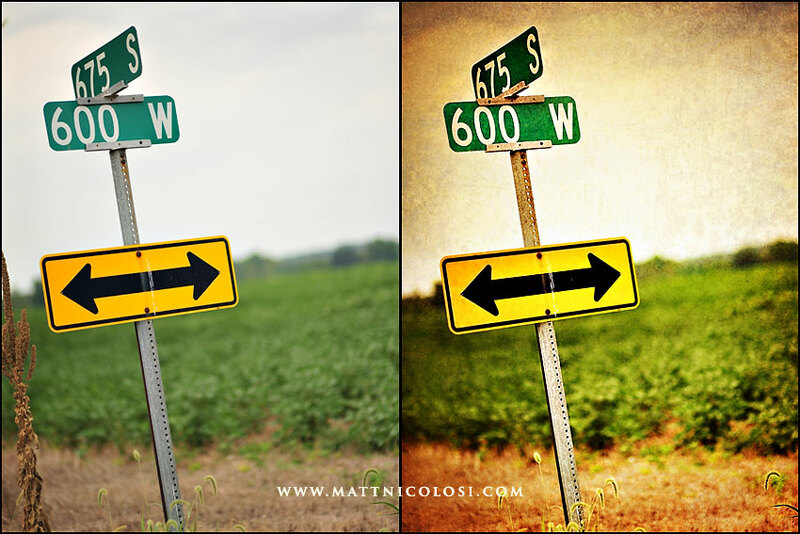 It's been awhile since I posted a Before & After showing an example of how I add "polish" to images in Photochop. 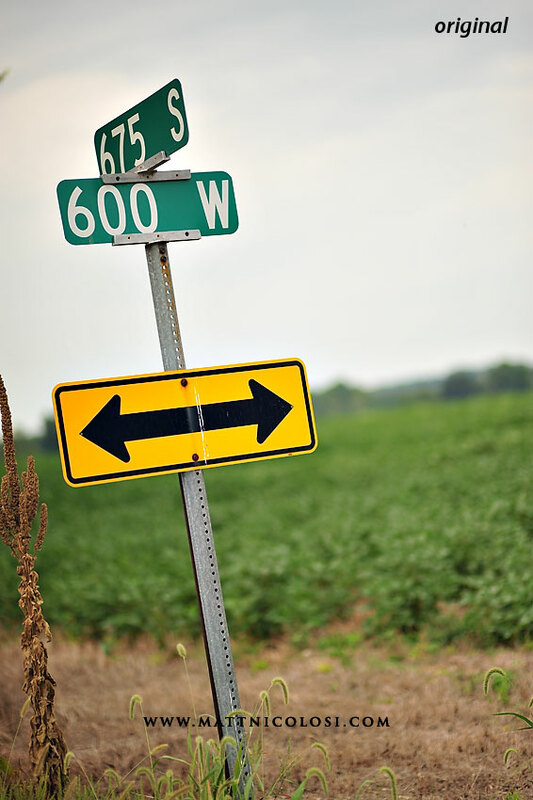 This installment uses a recent image from Indiana, and these county road signs actually have some significance; these signs mark the intersection where the house that my father-in-law Garry once was. 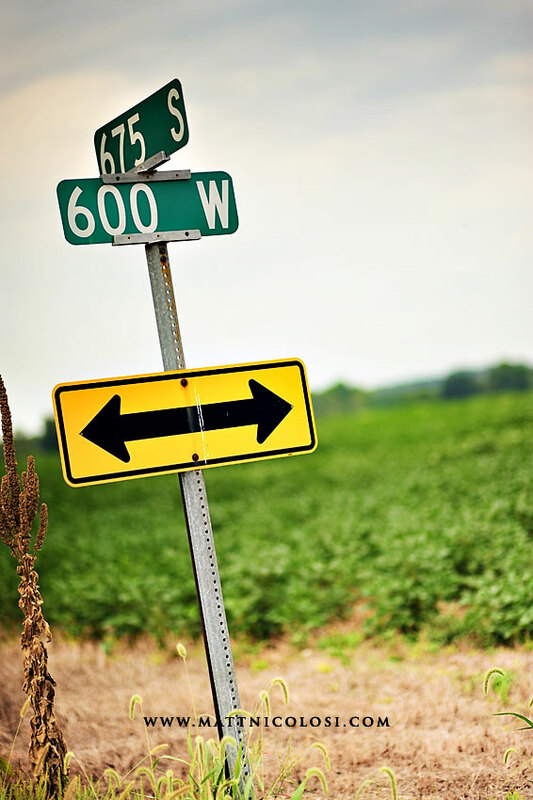 While the house has not been standing on the lot for some years, the small workshop behind the house where Garry's father used to spend lots of time is still there, and these road signs probably bring back lots of memories for Garry and his brothers and sisters. In fact, Garry's brother Mick still owns the farm land across the road and Mick's daughter Jennifer and her husband Steve recently built a house on that land where they can look out their front window and see the land where their heritage lived for years. Kind of a cool story. In any case, let's get started with a quick before & after, shall we? Here's the original image straight out of the camera. Not bad, but not very inspiring, eh? Whaddya say we polish it up a bit? - Kevin Kubota's "Tea Stain" at 40% opacity with the effect of this action masked in the sky area to maintain color & detail in sky. - TRA "Warm It Up, Kris" (75% opacity) to add a tad more richness and, well, warmth to the feel of the image. I could've stopped after step 5, but let's spiffy up this image just a little more. Who's with me? 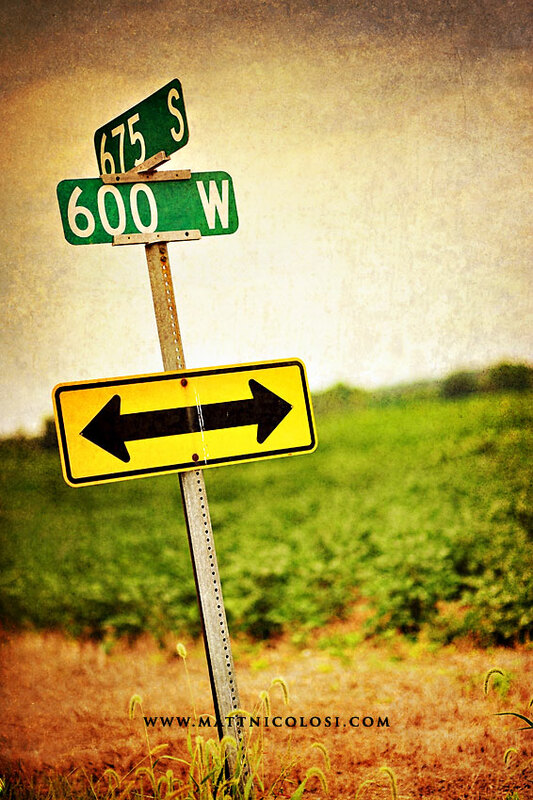 - TRA "Old Skool Fast" (40% opacity, soft light blend mode). - Sharpening around the signs, sign post, and vegitation at the bottom of the image. That's all for now. I'll post more before & afters ocassionally in future posts, so check back often. 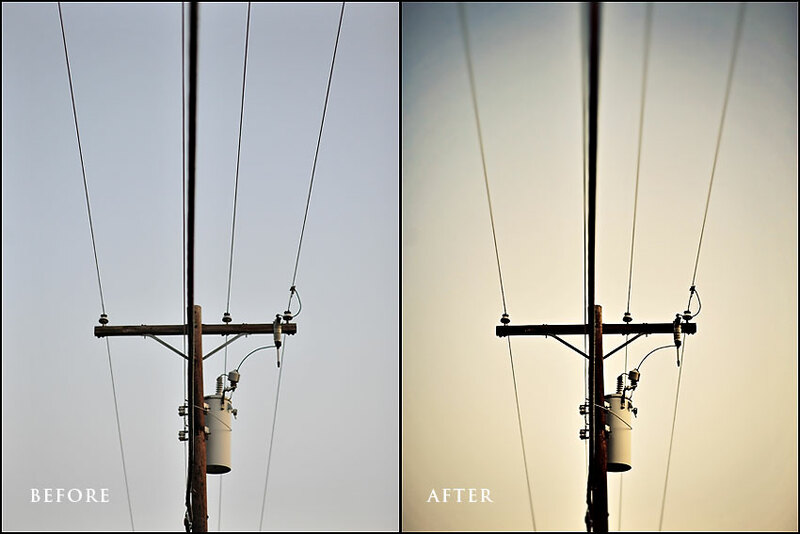 Fairly frequently I get questions from other photographers asking about image post-processing. So, I'm gonna start occasionally occasionally mixing in a few posts where I describe some of my techniques and/or descriptions about how I lit, shot, and/or edited some images. Allow me to step on to my soapbox for just a second and say first and foremost that I'm an advocate for getting the best exposure you can in camera above all else. Let's face it, occasionally in an effort to capture a fleeting moment, we don't always get our settings just right in the camera, but if your bread and butter approach to photography is the FLIP method (Fix Later In Photochop), sooner or later someone is going to discover you in a sleep-deprived, editing-induced coma in a chair in front of your monitor... or you'll get burned out and quit. Photochop should not be used as a Band-Aid or crutch in place of getting to know how to use your equipment. I've been there and got the t-shirt, and it's no fun. Okay, I'm stepping off the soap box now. Keep in mind, this look oesn't work for every image. Also, I have many of these steps automated via combined actions to save me time. Total edit time was about 3 minutes.